Miltronix has always pushed the boundaries of what can be achieved with radar systems. With our experience in the field, more than 20 years, we’ve been committed to one objective – to produce world class radar systems that meet the needs of our clients in the military and homeland defence sectors. We spend at least six years developing our products so they are the best they can be before bringing them to market. Collisions between birds and aircraft (bird strikes) can have catastrophic consequences and have resulted in the loss of lives and aircraft both in Civil Aviation and Military operations. Radars have been used for detection and tracking of birds for over seventy years. 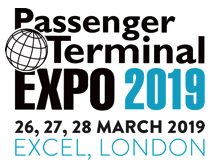 It is only in the recent past that the technology improvements have led to Radars being used for their commercial applications at Airports and Airfields to help reduce the risk of Bird Strikes. To preserve public safety and to reduce this loss as far as possible, the International Civil Aviation Organization (ICAO) and the Federal Aviation Administration (FAA) have recommended that airports should take steps to reduce the risk of bird strikes as far as reasonably possible. This recommendation is reinforced by separate national regulations that require airports to take steps to reduce bird strike risk. 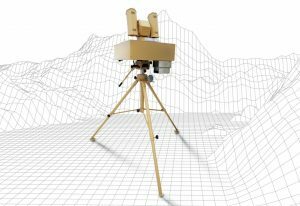 Miltronix now brings a unique state of the art 3D Bird Radar with an integrated Deterrent system to provide a total Bird-Aircraft Strike Hazard solution. Traditionally gas cannons and pyrotechnics have been used to disperse birds from airports / aircraft landing paths, and other sites. The gas cannon works by igniting the mixture of gas and air under pressure, with the frequency of detonation regulated either by adjusting the gas feed or with an automatic timing device. Habituation seems to be the main reason for their loss of effectiveness; a cannon firing repeatedly quickly loses its potential to scare birds. Pyrotechnics include a wide variety of noise-producing cartridges usually fired from rockets or rope bangers, or on aerodromes from modified pistols or shotguns which produce a loud bang and emits flashes of light. Though pyrotechnics are an effective method of bird scaring, their use is a labour-intensive method of bird scaring, and their regular use in large numbers is expensive and ineffective due to bird habituation. Our unique bird radar system offers 3D detection and deterrence of avian activity within a 360 degree radius of up to 11km and heights of up to 2000m. This innovative system helps to drastically reduce the number of serious incidents involving birds and is particularly important for our military and defence clients. Miltronix’s suite of state-of-the-art Air Surveillance Radar options are designed to fill critical gaps in air surveillance to protect national borders, vital infrastructure and other critical high value assets. These sophisticated solid-state Drone Detection Radar is specially designed to detect, locate, and display Drones of various sizes that might be flying within the Radar’s area of coverage. The flexibility in design offered by these radars enables them to detect fixed and rotary wing drones of various sizes. These radars have the capability to effectively and efficiently detect all kinds of Drones including those with low RCS with validation provided by a sophisticated high resolution long range Electro / Optical sensor. 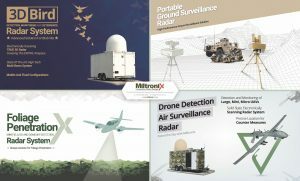 The Miltronix Drone Detection Radar can be integrated with a range of Anti-Drone systems. The advent of Drones and their extensive use in recent times have created a challenge for existing radar systems, which have traditionally specialized in detecting and tracking civilian and military aircraft and helicopters. Further, Drone designs now include stealth features to further minimize detection, which is in addition to their use of composite materials. This has resulted in the fact that even large Drones now have an RCS of that of a bird, which traditional radar systems are not designed to detect. To add to the challenge of detection by traditional radar systems, a Drone moves in a more random manner than traditional aircraft, and at low to medium altitudes with varying speeds. To detect modern Drones, a sophisticated and sensitive 3D radar is required that can detect very low RCS flying objects, including those that are low flying. It is essential that the system should also be capable of providing real-time alerts in declared threat zones, and archiving data for future analysis and reporting. Miltronix Drone Detection Radar provides all this along with a built- in high resolution, long range Electro-Optical sensor for validating the Radar detected targets. Modern warfare has changed from the days when battles were fought on large battlefields. Now more often than not governments and security forces are battling insurgent activities carried out by forces that hide men and materials under the cover of foliage. In several parts of the world it has become increasingly necessary for security forces to acquire the capability to see, remotely from the air, what is hiding under the forest cover. Foliage Penetrating Synthetic Aperture Radars provide precisely this capability. Since the introduction of Synthetic Aperture Radar (SAR) immediately after World War II, radars employing SAR technology have become faster, smaller, and have gained much higher performance levels with every passing year. With the advent of modern fast computer signal processing, the handling of image data from Synthetic Aperture Radars has become precise and almost photo like. The defining characteristics of SAR systems is the use of relative motion between an antenna mounted on an airborne platform and its target region to create a large synthetic aperture that provides the coherent-signal variations which are used to obtain a fine spatial resolution of the scanned data. The latest SAR systems can provide resolutions of a few centimetres. 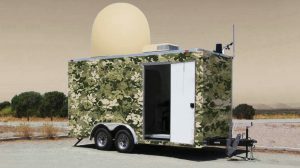 This capability, in combination with the ability to penetrate foliage, provides intelligence solutions for the security forces that were not available earlier. The Miltronix Foliage Penetration Radar -FOLPEN-MIDDRS, is a state-of-the-art, software-defined radar (SDR) system that provides a compact, high performance design. This Miltronix product represents the culmination of years of work by members of the design team on the design, construction, and operation of this VHF/UHF SAR systems. 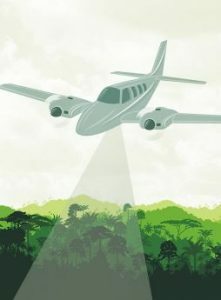 First deployed in the 1990, this type of SAR system rapidly drew interest from both civilian and military sectors for providing superior information on targets under tropical foliage. Very few high quality, foliage – penetrating SAR radar systems exist in the world today, and the Miltronix Foliage Penetration Radar system is perhaps the most advanced such system anywhere. Innovators on the team have designed and built some of the most advanced editions, and the current Miltronix’s Foliage Penetration Radar- FOLPEN, is the latest and most capable iteration of this cutting-edge technology. The system is capable of detection of military and non-military targets under trees, even in dense tropical foliage environments. The system is also able to detect minefields to depths of 50 cm or higher, depending on soil type. Medium-sized groups of personnel are detectable using the change-detection algorithms that are incorporated into radar system. The Miltronix’s FOLPEN-MIDDRS offers a variety of detection capabilities in both forested and non-forested environments. 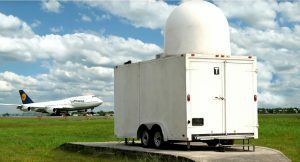 Miltronix state-of-the-art range of Portable Ground Surveillance Radars brings a high performance and reliable solution to homeland and border security requirements. Designed for missions such as border surveillance, force protection, port and harbour security and critical infrastructure protection, these radars offer a low cost of ownership without compromising on performance. 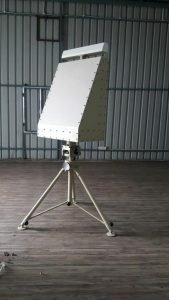 Miltronix Portable Ground Surveillance Radars have a small form factor and are lightweight, with a low-power draw making them ideal for Man Portable Radar solutions. These radars have integrated high performance Electro-Optical / IR cameras with a cooled sensor and with a slew-to-cue feature that enables efficient target tracking. 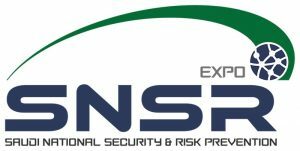 The systems can be deployed with multiple sensors covering a wide surveillance footprint as part of a wide area and persistent surveillance program. These radars can be configured to monitor areas ranging from as small as 10 degrees in azimuth to a full 360 degrees, while detecting slow moving targets with an extremely low false alarm rate. These radars can also track low-flying aircraft including helicopters, ultra-light aircraft and UAS. The Ground Surveillance Radar system can also be optimized for maritime applications such as tracking small watercraft, rubber rafts and small boats. Offering longer detection and tracking ranges than similar systems, these radars come with a sophisticated application software suite that provides sectoral coverage with multiple visual and audio alarms.